So it turns out that utilities like microgrids, contrary to the notion – almost lore – that they dread them as economic disruptors or technical headaches. In fact, utilities view microgrids as a business opportunity. That was the finding of a recent project that I had the pleasure of working on with the nice folks at Utility Dive, who surveyed about 250 industry executives about their views on microgrids. Interestingly, 97 percent of utilities surveyed expect microgrids to be a utility play in the next decade. About half see themselves in the microgrid business even sooner, within five years. “This defies the perception of utilities as often slow to innovate and resistant to disruptive change. It indicates that microgrid development will ramp up quickly in the near term, given that utilities are the dominant players in the electric power industry,” we wrote in the survey analysis. After Utility Dive released the results, I asked some microgrid vendors, developers and leaders for their thoughts about the microgrids and the utility role. They weren’t surprised by the utility interest in microgrids. It jives with what they are seeing in the marketplace. “This is exactly what I’ve been saying internally to my company,” said David Chiesa, S&C Electric’s director of commercial, industrial, & microgrid sales. Two years ago the microgrid market was dominated by government and military projects, Chiesa said. Now utilities are entering. He has received 26 inquiries from investor-owned utilities in recent months, with additional requests from public and municipal utilities. Some are tentatively looking; others are undertaking demonstration projects to show regulators that microgrids can decrease costs, increase reliability and performance, and improve service, he said. Princeton Power Systems also has reported an uptick in its microgrid business and shift in utility attitudes. 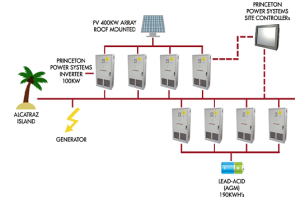 “In the early days, while the utilities were definitely not adopting microgrids at any kind of scale , they always seemed very interested in the technology – in at least getting demonstrations together, so that they could understand it and know how it works,” said Darren Hammell, co-founder and chief strategy officer of Princeton Power Systems. Today, the company finds itself increasingly in meetings with utilities that want to scale up a microgrid model, he said. Some utilities already operate microgrids, and a growing list are in various stages of exploring, developing or soliciting new projects, among them Central Hudson Gas & Electric, Consolidated Edison, Duke Energy, Dominion, the Long Island Power Authority, Pepco, and PG&E. Of course, utility interest in any competitive market can be a double edged sword. On the one hand, they bring influence, a strong balance sheet, and access to capital markets that can kick-start an industry. On the other hand, there is fear that utilities will use their monopoly power to dominant the market and shut out independent companies. So some words of caution were offered by those who for years have witnessed the tension between monopoly and competitive forces in the electric power industry. Regulators need to ensure and expand access to non-utility participants, such as industrial, institutional, municipal and district energy microgrids, he said. IDEA members have been operating microgrids for years. 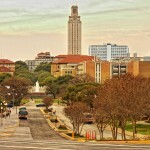 (See examples of Princeton University and UT Austin.) Utilities could benefit from their lessons learned in designing, owning and operating microgrids and achieving “very high efficiencies with notable reliability and resiliency at the 20 to 135 MW scale,” Thonton said. “It would be a shame if utilities simply proclaimed interest in the microgrid market and then failed to act on investment opportunities or to adopt the business best practices already learned by many IDEA member systems,” Thornton said. Ed Krapels, founder of Anbaric Holding, a company that develops both transmission and microgrids, says that like transmission, microgrids offer utilities both opportunity and challenges. So what is the bottom line? 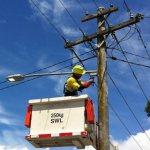 The microgrid market is shaping up to be both a utility and independent play. It’s far too early to discern the eventual balance between the two. It is interesting to note, however, that about 43 percent of the utilities surveyed see partnerships forming between utilities, independents, public entities and universities to own and operate microgrids. Much will depend on the rules that regulators enact for microgrids. They are just beginning to consider them. Right now, we’re closely watching policy action in Maryland, Massachusetts and New York, which could influence not only those states, but also others that may follow their lead. For an overview of the regulatory landscape see our report, ‘Think Microgrid,” downloadable free of charge, courtesy of the report’s underwriters: the International District Energy Association, Schneider Electric and Microgrid Knowledge. And do take a look at the Utility Dive survey results, The Utility View of Microgrids. 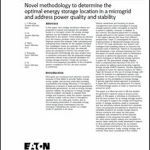 The findings offer insight into how utilities think about microgrids in terms of opportunity, rates, load, incentives and grid management. How Do Microgrids Make Money?